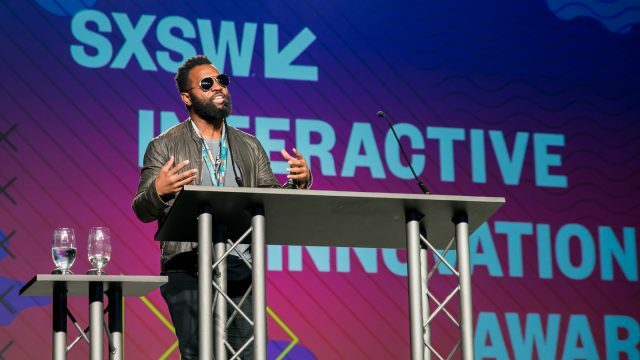 The SXSW Interactive Innovation Awards include 13 award categories and 6 Special Honors, which recognize the most forward-looking tech developments in the connected world, launched or released in the 2017 calendar-year. SXSW Interactive’s annual competition is still accepting early entry applications. The Awards are open to anyone with a project, product, creative endeavor, scientific discovery, or student project that will launch or has launched between January 1 – December 31, 2017. New for 2018, we’ve added the AI & Machine Learning category to the Interactive Innovation Awards. The AI & Machine Learning category aims to recognize the coolest, most cutting-edge, and the most useful applications of these intelligent and learning machines. Does your project make use of machine learning in a creative new way? Have you developed a new way for an intelligent program or system to learn from its users — or even teach itself? Do you have an new bot or interface that could pass a Turing test? Enter it in the Interactive Innovation Awards! Learn more about the 13 award categories and 6 special honors that will be recognized at the 2018 Innovation Awards.